Baltimore Choral Arts is touring England in January 2020, highlighted by a prestigious invitation to sing Gustav Mahler’s “Symphony of a Thousand” at the City of Birmingham Symphony Orchestra’s 100th anniversary celebration. 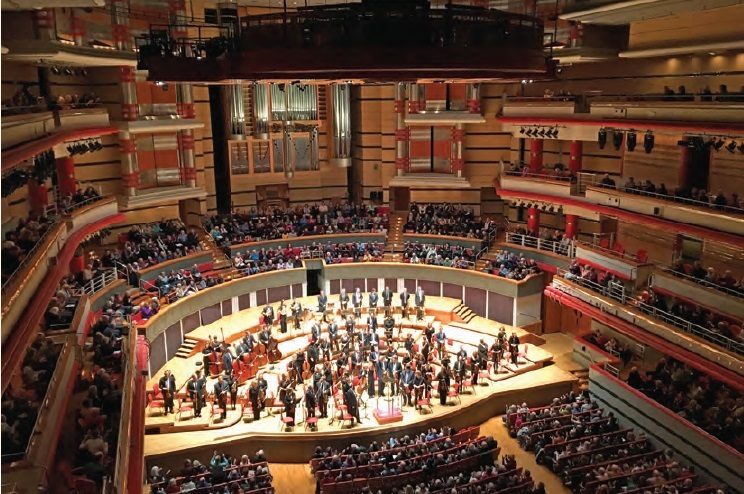 This gala will be led by conducting superstar and CBSO Music Director Mirga Gražinyte-Tyla. The Chorus and Anthony Blake Clark will also perform at venues in London and Oxford. You can join us on this musical journey! The guest fee of $3,500 per person includes airfare, hotel accommodation, tickets to all performances, and sight-seeing across England. For more information about joining the tour, please call Development Director Julia Malecki at 410-523-7070 x303 or email Julia@BaltimoreChoralArts.org.